AAF Seattle is the Western Washington chapter of the American Advertising Federation, serving our region's creative services community since 1909. Industry folks may be a lot of fun but they're also professional. So are our regular events, ranging from panels of our industry’s best minds discussing hot topics to casual after-hours mixers where we basically goof off while we network. Everything gets better when people are enabled to reach their potential. AAF Seattle strives to empower its community through public service and diversity efforts that reach beyond just showing up by actually making a difference. Our sponsors make our events and our whole club operate better. Who does that? 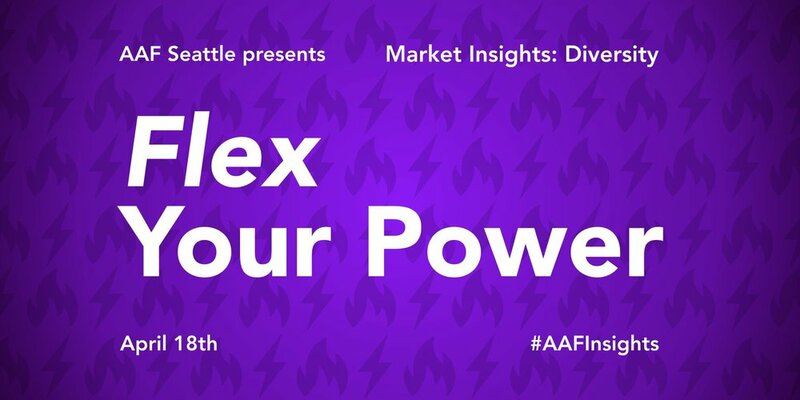 Smart organizations that understand that aligning with AAF Seattle puts them at the front and center of the kind of people they want to reach most. Our local competition recognizes the area’s best of the best - and it’s a pretty great party, too. The winners of these prestigious trophies go on to compete regionally, and the best then vie in the national competition. So yeah, an ADDY is kind of a big deal.